At a large community college system in central Florida, 40% of the more than 20,000 students who take developmental math each year don't pass. Similar patterns are found in community colleges across the U.S. While teaching students about study skills and time management is important, it’s also important to foster students’ beliefs that they’re able and want to succeed. How can we help students believe they can bounce back from academic challenges and persevere through these critical math courses? We are partnering with math faculty to test whether brief, in-class activities combining growth mindset and utility value interventions can boost students’ motivation and math performance. Over 12,000 students have been part of the study since 2015. Currently, we are adapting and improving our interventions based on insights gained through initial mixed methods analyses from this study. We also plan to explore students' longitudinal outcomes, such as GPA, major path, and career trajectories. Students often struggle to understand the value of what they are learning. This is especially true for students who are at-risk for under-performance. Prior field experiments show that utility value interventions can boost motivation and performance for students at risk of under-performance. Based on these findings, we have partnered with the Character Lab to develop a teacher-led activity aimed at helping them increase students’ perceptions of the value of their coursework. Learn more about Build Connections in this short video, read our Executive Summary, or view the full resource here. Tennessee's goal is for 55% of adults to obtain a post-secondary degree, but not even that percentage of adults make it through their first semester of college. The problem is especially severe at community colleges, where 40% of students drop out after only one semester. The Tennessee Board of Regents (TBR) governs all thirteen community colleges and 27 technical colleges within the state of Tennessee, serving more than 100,000 students each year. 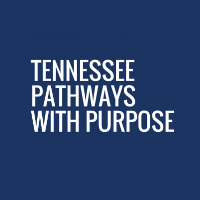 Since the beginning of Motivate Lab’s partnership with TBR, we have worked to understand the root of Tennessee students’ motivation and barriers to success. We’ve spoken with advisors at two Advising Academies, listened to faculty and staff at the 2017 and 2018 regional High Impact Practice drive ins, and delivered a keynote presentation at the Pedagogy with Purpose Academy. We have held focus groups and meetings at three different pilot institutions across the state, and led a design charrette to involve stakeholders in our research process. Currently, Motivate Lab is working with three community colleges to pilot interventions in co-requisite math and first year experience classes. Together, we’re infusing classrooms with purpose and value and encouraging students to connect their personal values to their education. Motivate Lab and the Tennessee Board of Regents have committed to working together through at least 2020 to identify ways to support Tennessee students’ motivation and adopt supportive practices. Georgia aims for 60% of adults to hold a post-secondary degree by 2025 (up from 38%) and is interested in harnessing research on learning mindsets to achieve this goal. The University System of Georgia (USG) governs all 26 four-year institutions within the state of Georgia, serving more than 318,000 students each year. Our partnership was established in 2017, and we are currently collecting data from students and faculty to understand the motivational culture in four-year institutions. Since the beginning of our partnership, we have attended two Advising Academies, consulted with USG institutions at the 2017 Momentum Summit, led USG institutions in understanding learning mindsets at the 2017 Mindset Summit, and visited 6 different USG institutions’ campuses. Through this partnership and based on insights from our data, we will co-create a plan to infuse mindset-supportive practices into Georgia's higher education system at the student, instructional, curricular, institutional, and policy levels. White students and underrepresented minority (URM) students show an equal level of interest in STEM careers when they enter college, but URM students encounter poorly understood barriers to successfully completing STEM degrees. At the University of Virginia (UVA), there is a 45-point differential in the percentage of white and African American students graduating with at least a 3.0 GPA in the School of Engineering and Applied Science (85% versus 40%, respectively). Similar outcome differentials nationwide severely threaten America's STEM workforce readiness and future economic security. The Crafting Success for Underrepresented Scientists and Engineers project seeks to identify effective ways to close the achievement gap for underrepresented students in science, technology, engineering, and mathematics (STEM) fields at UVA. In this project we are collaborating with the School of Engineering and Applied Sciences, the College of Arts and Sciences, and the Provost's Office. The transition from middle school into high school is a critical period for future academic success for rising ninth grade students. During this time period, students - especially those from historically disadvantaged and underrepresented groups - may question whether or not they belong in their school environment. We have partnered with a rural public high school in the state of Virginia to administer a novel video intervention targeting student perceptions of belonging. We are in the process of collecting data from our second cohort of participants to test if this brief intervention can improve students’ sense of belonging and academic performance, among other outcomes. Our analysis will be conducted in light of the violent, race-based rallies held by the alt-right in Charlottesville, VA just days after our intervention was implemented. We will report our findings regarding the role perceived belonging plays in the context of secondary education, especially in response to race-based violence in the community. Initial results suggest the intervention increases perceptions of student belonging. If these results hold, we will focus on collaborating with our high school partner to integrate our intervention more fully into school curricula. For the more than 10 million children who attend camp each summer, camp is an opportunity to develop critical skills and ways of seeing the world. But do campers make the connection between the skills and mindsets they develop at camp and their lives outside of camp? The aim of our Mindset Transfer project is to (1) understand how campers and counselors talk about skill and mindset development and (2) help campers see the connection between the skills and mindsets they learn at camp and how to apply them in places like school, sports, and the arts. Partnering with a charter school system in the American southwest, Camp Champions, and the American Camp Association-New York/New Jersey, we're conducting a field study at four camps that includes focus groups, observations, parent/counselor surveys, and camper reflection activities.